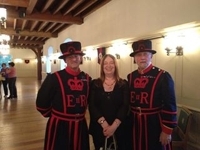 I have done over 850 events at numerous historical sites, museums, art galleries, festivals, bookstores, libraries, charities and schools in the UK, Ireland, the USA and Canada. If you would like to book me for an event, please email info@alisonweir.org.uk for an information sheet, booking form and list of talks, or approach my publishers (see the Contact page for details). For tickets, please apply in store at The Bookshop, call 01342 322 669 or email sarah.bookshop@outlook.com. For tickets, please visit https://www.civicaepay.co.uk/HERTFORDSHIREESTORE/ESTORE/default/catalog/index?catalogueitemreference=E0000760 or https://www.civicaepay.co.uk/HERTFORDSHIREESTORE/ESTORE/default/catalog/index?catalogueitemreference=E0000760 (concessions) or call 01707 281533. 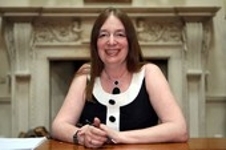 For tickets, please visit https://chepstowbooks.co.uk/collections/events/products/alison-weir or call the bookshop on 01291 625011, or visit them at 13 St Mary Street, Chepstow, NP16 5EW. For tickets, please contact the Friends of Westminster Cathedral on 0207 798 9059 or email christinawhite@rcdow.org.uk. For tickets, please visit www.felixstowebookfestival.co.uk (you will be redirected to the New Wolsey Theatre website, their ticket agent). Tickets can also be purchased in person at Stillwater Books, Felixstowe. Booking details to come in July. Booking details to come at the end of June. Booking details to come; tickets on sale from 1st August. Booking details to come in December. These events are under discussion and still to be confirmed, so please do not contact the venues for tickets.